iBetterCharge: Get iPhone, iPad, and iPod Touch Notifications on Mac! 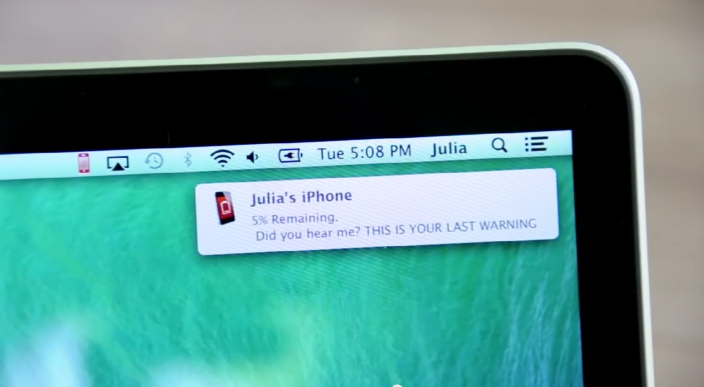 Get Your iPhone, iPad, and iPod Touch Notifications on Your Mac! Since we are swarmed by every sort – or rather size – of gadgets, it is becoming increasingly difficult to keep track of every single one. While I try to put away with my phone as much as I can, that’s not possible for all the time. Even the gadgets we hate to keep, have to be kept with us and charged up all the time. In such tiring times, the need of syncing tools is even more crucial than before. Here is one such nice, helpful, tiny little utility. This small tool named iBetterCharge helps you to get the battery warnings of your iPhone, iPad, or iPod touch right on your Mac’s desktop. Instead of checking each and every device for their battery usage, you can simply use iBetterCharge. This tool will get you battery warnings from your iPhone and iPad onto your Mac screen. This tool is especially recommended for those who work for longer hours on their Macs and yet need to have their smartphone and tablets charged up. Since iBetterCharge gives you 20% and 5% pop up warnings from your iPad and iPhone on Mac, you can simply get up to plug them in rather than keeping a continuous check. iBetterCharge is a small utility available for free. Once installed, it will stay in menu bar and automatically will find any iOS devices over WiFi. However, you have to first enable WiFi sync on your device. You can connect multiple devices with iBetterCharge. Also, you can set preferences for notifications and set the limits when the utility should warn you – 50%, 20%, 10%, or 5%. iBetterCharge will also inform your device is fully charged. 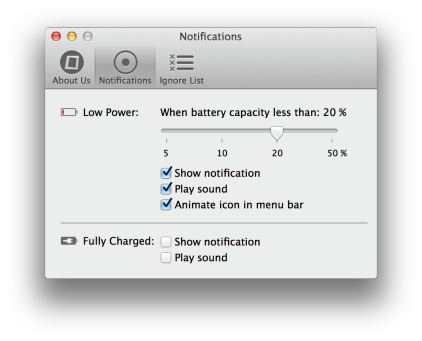 You can select to animate the menu bar icon, play sounds or show and mute notifications. Here is the link to download iBetterCharge for free.